This page will contain my most favourite links to exercise options for women throughout all life stages. I will cover specific areas where advice on pelvic floor exercises and general exercises may vary depending on circumstances. It’s great to be active and stay fit while you’re pregnant. Check with your midwife or doctor first to make sure there are no health problems to prevent you from exercising. If there are no problems, try to do 30 minutes of moderate exercise, like walking, on most days of the week. • help decrease the chance of getting a type of diabetes (gestational diabetes) some women get in pregnancy, when combined with a healthy diet. If you haven’t been physically active before pregnancy, it’s good to begin gentle exercise. Walking, swimming and aqua classes (exercises in water) are good. 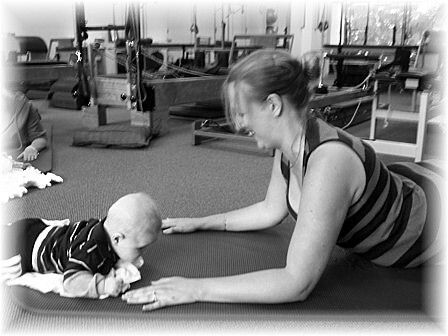 Come and join my pre- natal Pilates “powering through your pregnancy’. The class is held Monday evenings, 7-8pm $30.00 per class or pre-pay your program and save – just $125.00 for 5 weeks! To join the class or for more information come in and see us or call Northbridge on 9958 8986. This link to Vic. gov on post natal exercise is a good basic guide line. So what about the mums who are 3 months + or 12 weeks post natal? can you get back to your previous exercise now!! what about running. This is a great blog from Jessics Reale Doctor of Physical Therapy (DPT) and Board-Certified Specialist in Women’s Health (WCS) practicing in Atlanta giving some perspective. It is really important that you get a full pelvic floor assessment so that you know your individual risk – the risk of prolapse problems is increased in women with; poorly functioning pelvic floor muscles, after instrumental vaginal delivery, existing prolapse and after prolapse surgery. This page is a work in progress…..